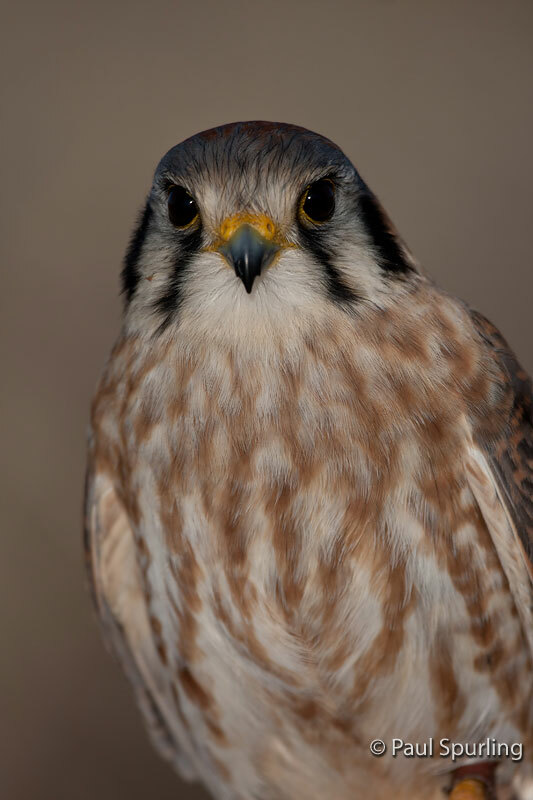 In the spring, you can watch the KestrelCam in a nest box at The Peregrine Fund’s World Center for Birds of Prey for a behind-the-scenes peek into the fascinating world of the American Kestrel. The American Kestrel is the smallest falcon in North America. Weighing 3-6 ounces, a small kestrel weighs the same as about 34 pennies. American Kestrels often hunt as a family group. This gives the young birds a chance to practice their hunting skills with their parents before they have to survive on their own. American Kestrels are one of only three raptor species in North America where males and females look very different from each other. Males have blue-hued wings and one black bar on their orange tail feathers; females have orange wings with black stripes and many black bars on their orange tail feathers. Kestrels can see ultraviolet light – colors that are invisible to the human eye. 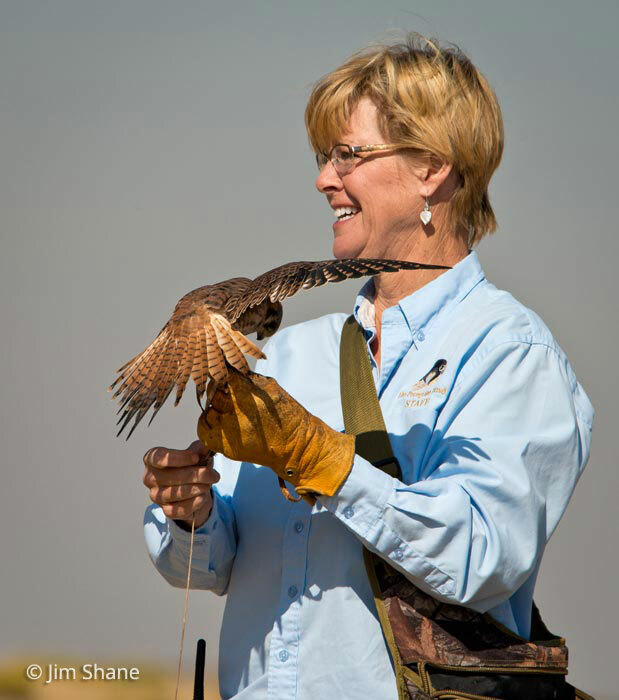 The Peregrine Fund started the American Kestrel Partnership in 2012 to recruit families, teachers, students, birders, scientists, and other wildlife enthusiasts to become citizen scientists. These partners contribute to kestrel science and conservation by building, installing, and monitoring nesting boxes and collecting data. Professional scientists use the information to understand how environmental factors like pollution, climate change, predators, and habitat loss affect the kestrel’s ability to reproduce. Anyone can join the American Kestrel Partnership and help reverse kestrel population declines. 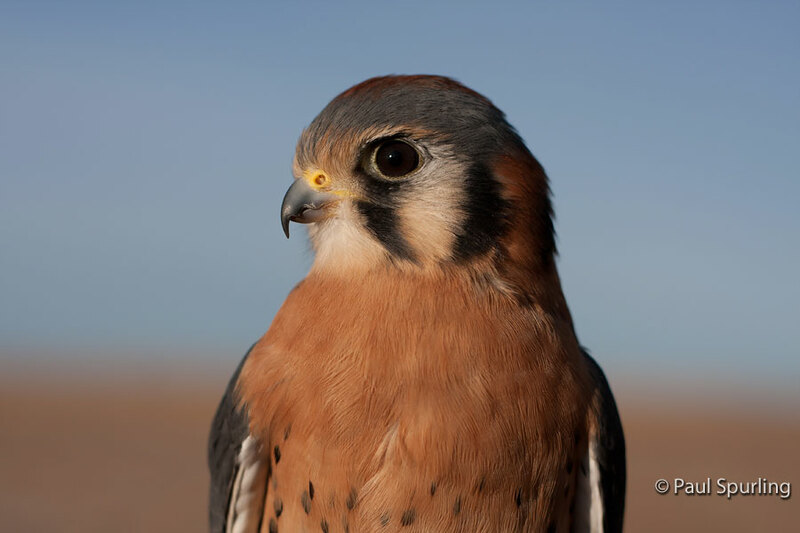 Learn more at The Peregrine Fund’s American Kestrel Partnership website. If you find yourself along a roadside or open area, take a moment to look for a small colorful bird. Chances are good that you eventually will see an American Kestrel. They are most easily spotted perched on power lines as they scan for dinner, bobbing their tails occasionally. You also may see them sitting atop a power pole eating a meal or hovering over an open field, waiting for the right moment to descend upon an unsuspecting lizard or rodent. American Kestrels are found throughout most of North America, Central America, and South America. In their northern range, they are found in Canada and Alaska during the summer breeding season. As winter sets in, they head for warmer climes. Much of their prey hibernates or leaves during the cold winter months, so they must travel to where the food is. American Kestrels usually spend the winter south of the Canadian border and travel as far south as Panama and the Caribbean. They can be found in a variety of habitats, including tropical lowlands, deserts, urban areas, and agricultural fields. If there are sufficient perches like power lines and trees, good nesting cavities, and abundant prey, chances are kestrels will be there too. The American Kestrel is one of the most beautiful falcons in North America. Its feather patterns of blues, reds, grays, browns, and blacks make this small bird of prey a real eye-catcher! Apart from their good looks, American Kestrels are also swift fliers with astounding aerobatic abilities. Kestrels, like a few other birds of prey, are very good at hovering. With the help of a good headwind, kestrels can flap their wings vigorously and maneuver their tail to stay in one spot, like a helicopter in mid-air, while searching the ground for prey. Though it is a small bird, the kestrel needs strength, agility, and stamina to maintain this static flight. When you see kestrels in flight, notice how their wings, tail feathers, heads, bodies and even feet all change shape and direction to help this amazing bird achieve such aerial feats. If you have the opportunity to watch a kestrel in flight, enjoy it! You may see it dive in a deep stoop and perhaps catch a meal. 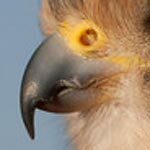 As you may know, all birds of prey have amazing eyesight. Kestrels, like some other birds, can see ultraviolet light, which is invisible to the human eye. This ability helps them find and catch prey. 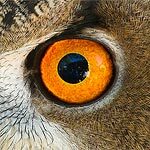 This does not mean that kestrels see animals that we don’t, but they do see rodents' urine trails, which reflect ultraviolet light. To a kestrel, these urine trails are like neon arrows pointing to their favorite restaurant. Kestrels might even set up a territory in an area with lots of urine trails because this means there are lots of tasty meals running around. The American Kestrel was once one of the most common raptors in North America. Lately, however, scientists have noticed that this species’ numbers are beginning to decline – and no one really knows why. Causes may include loss of habitat, increased predation by other birds of prey, pollution, and competition for nesting sites from species like the European Starling that were not historically found in North America but were brought over here by people. When a once common animal starts to become not-so-common, action needs to be taken. The first step in helping the kestrel is understanding why they are declining in the first place. 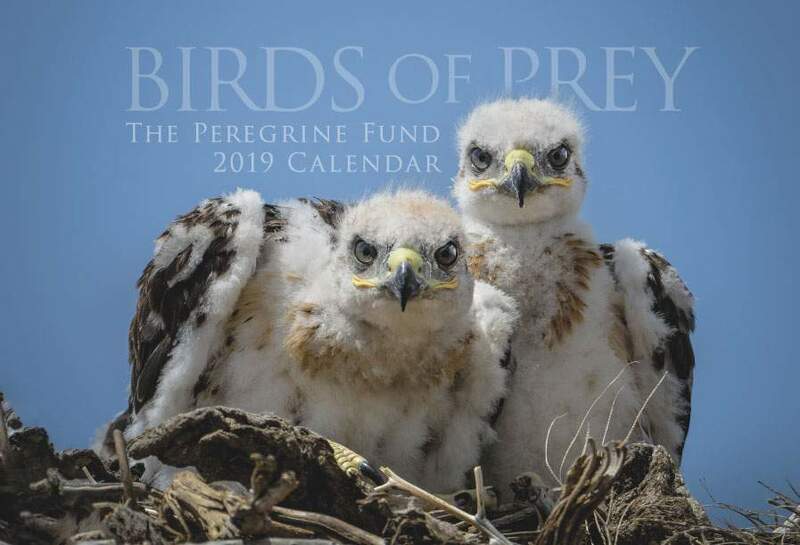 For more information and to learn how you can help, please visit The Peregrine Fund’s American Kestrel Partnership website. American Kestrels feed mainly on insects, mice, voles, lizards, and snakes, making this bird a very good friend to farmers! Like the Barn Owl and many other birds of prey, American Kestrels help keep agricultural fields free of animals that might damage crops. When hunting, American Kestrels search for prey from a perch overlooking an open area or by hovering in the air. When a kestrel spots its prey, it plunges down, in what's called a stoop, to catch it. Kestrels usually capture their prey on the ground, though they can also take prey in the air. After catching their prey, kestrels will carry it up to a perch (such as a power line or fence post) from which they can comfortably eat. Being up high keeps them away from ground predators, though they still have to watch out for other birds that might attack them or steal their catch. Like other falcons, kestrels don’t build their own nests. Instead, they lay their eggs in cavities in trees, cacti, and cliffs. They also nest in nesting boxes made by people or in crevices in buildings. It is important to note that even though kestrels nest in tree cavities, they are unable to make these cavities themselves. They rely on the work of other birds, such as woodpeckers, to provide them with good sites! In fact, an American Kestrel won’t nest unless it has a sufficient hole available in a tree, building, or nesting box. A lack of good nesting cavities limits this species' reproduction and population. American Kestrels, like many birds of prey, are solitary, meaning they spend most of their time alone. The exception to this is during breeding season. The male and female spend a lot of time together during courtship and breeding and while raising their young. During courtship, a male kestrel brings the female gifts, but she isn't interested in flowers or chocolates. She finds headless mice or dead lizards much more appealing! Females usually lay four to six eggs that are white with brown spots. Both the male and female help incubate the eggs. When the adults incubate the eggs, they sit on them to keep them at the perfect temperature. This is important for the healthy development of the young chicks inside. After about 29 days, the young kestrels hatch. While they are growing, kestrels chicks eat about two times more than the adults do – consuming two or three mice a day! About 28-31 days after hatching, the chicks are grown and ready to take their first flight. For any bird, the first flights are the most precarious. They leave the nest and, though their parents are still around to protect them, young inexperienced birds can get into a lot of trouble. They have to learn to recognize and evade predators and they can be injured or killed when they fly into windows, are hit by cars, or become tangled up in barbed wire fences. Placing a nest box away from roads and fences can help provide the young kestrels with a safe environment in which to practice hunting and evade danger. American Kestrels are able to reproduce as early as 1 year of age. 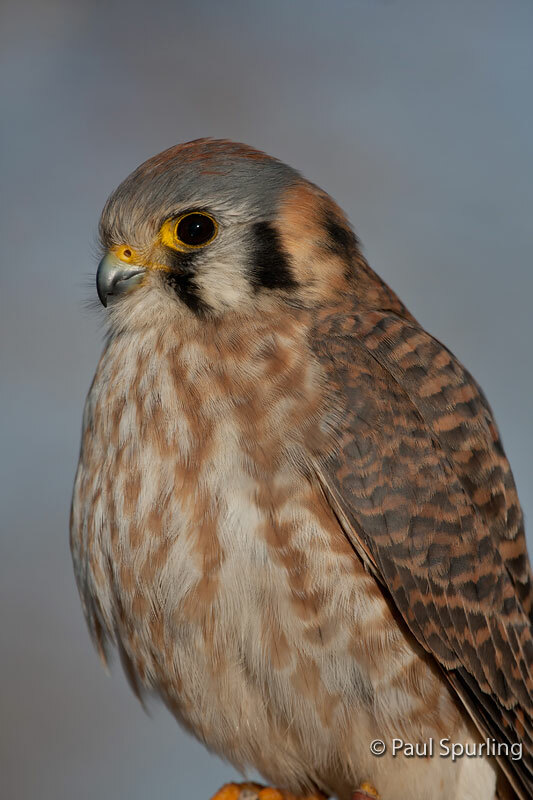 American Kestrels are found throughout most of Idaho year-round, making them one of the easiest raptors to spot. Open fields, roadsides, power lines and telephone poles are all good places to search for American Kestrels. In southern Idaho, a good place to look is the Morley Nelson Snake River Birds of Prey National Conservation Area. Another excellent place is at The Peregrine Fund's World Center for Birds of Prey in Boise. 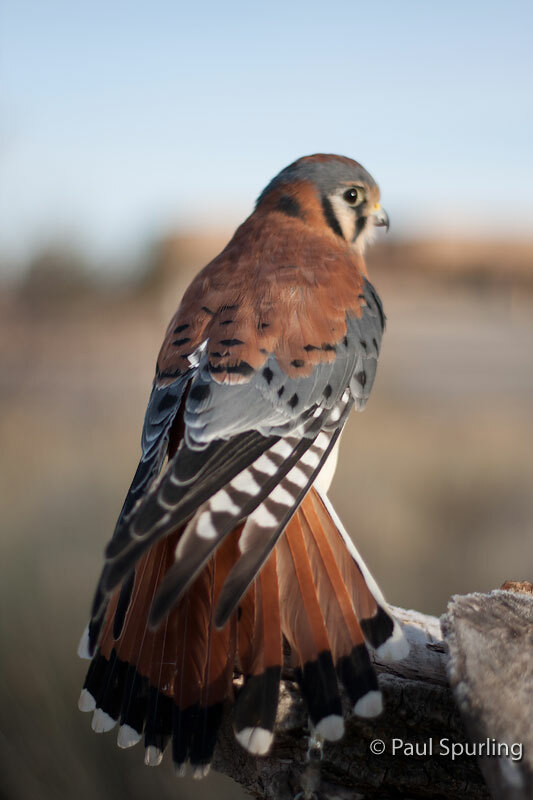 The fields of sage and grasses along the road leading to our headquarters are filled with prey animals that attract several species of birds of prey, including American Kestrels. Our nest boxes fill up quickly during the breeding season. Our KestrelCam captures kestrels in all their nesting stages – females incubating eggs, chicks hatching, and young preparing for their first flights. Come to the World Center for Birds of Prey and meet an American Kestrel up close, examine kestrel feathers at the touch table, and compare the size of a kestrel egg with that of an ostrich. During nesting season, watch the KestrelCam and see the male bring food to the female, the female incubate her eggs, and the chicks hatch. If you walk the interpretive nature trail to the gazebo overlooking the Boise Valley, you are likely to see a kestrel hovering over the sage in search of prey or, if you are lucky, a young bird just learning to fly.